A rustic yet classic piece of decorative home ware, especially for couples. 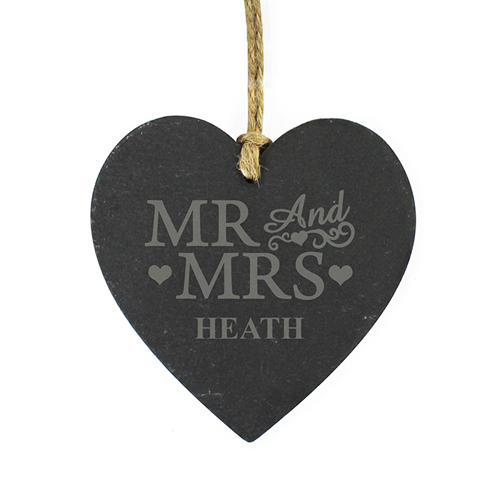 Personalise this Engraved Mr and Mrs Slate Heart for a wonderful couple with a surname using up to 12 characters. The design features the word 'Mr & Mrs' which is fixed text on this item. Personalise for a wonderful couple with a surname using up to 12 characters.